My name is Helen Carroll. 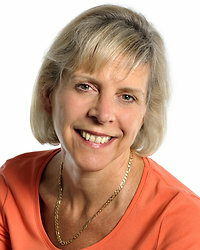 I work as a counsellor and psychotherapist and am based in Banstead, Surrey. I have been working with clients since 1989. I work with individuals on an open-ended basis or for an agreed time period. I am committed to providing counselling and psychotherapy in a safe, confidential and non-judgmental environment. My aim is to enable you to enhance your life and to live it more fully. On this website I have set out some information about myself, my approach to therapy, the services I offer and how to contact me. I hope you find it useful. If you have any questions that you cannot find answers to here, then please feel free to contact me, either by phone or by e-mail. My practice in Banstead is within easy reach of many areas of Surrey and South London: Epsom, Ewell, Dorking, Redhill, Reigate, Cheam, Ashtead, Leatherhead, Tadworth, Coulsdon, Sutton, Wallington, Morden, Mitcham and Wimbledon.